Firstly can we thank you for your continued support of our club and players. We are, if you are not aware, a registered charity and as such this allows certain privileges. A key privilege is that we are able to collect gift aid from the monies collected from each member player that has tax paying parents or guardians. The club are about to roll out this process and will require everyone willing, to action the request to claim back tax against these monies. This will have no cost to any individual but potentially significant positive impact for our club just by completing a form. As a charity we cannot sit on profits and any increased income goes straight back into improving the club. We are not able to claim tax against the full amount paid but a significant proportion that will make a huge difference to the finance received by our club. This allows us to plan better for the future and try to improve all aspects of our club, for the players and families. Please help us by completing this process as quickly as you can when you receive it to allow our club to benefit from the generated income. 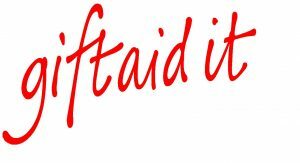 Please follow the link here or click on the image below to be taken to the Gift Aid page on our website which will enable GiftAid to be recovered on behalf of the players under your care.